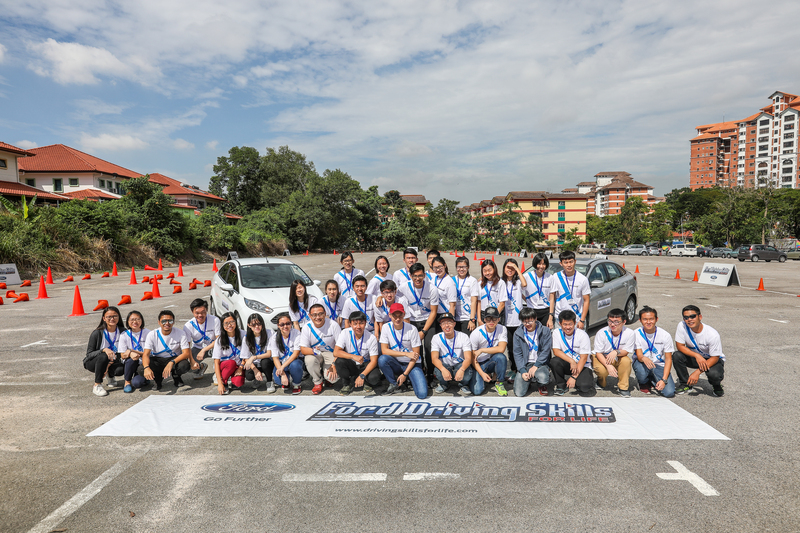 KUALA LUMPUR, Malaysia, 3 November 2017 – Ford Motor Company continued its efforts to raise road safety awareness in Malaysia through its global Driving Skills for Life (DSFL) programme, this time around reaching out to university students. More than 70 students from Universiti Tunku Abdul Rahman (UTAR) participated in two half-day DSFL workshops organised in partnership with Ford’s local distributor partner, Sime Darby Auto Connexion. “Driving Skills for Life is a hands-on driver training programme focused on raising awareness of driver and road safety. We are proud to raise awareness of road safety among younger drivers, help reduce the number of vehicle accidents and make the roads safer for everyone,” said Syed Ahmad Muzri Syed Faiz, managing director, Sime Darby Auto Connexion. DSFL sessions start in the classroom, with participants learning a range of topics from steering control to speed/space management, distraction awareness and fuel-saving tips. Participants then move outside for a hands-on driving session to apply the learnings. “Being a newly licensed driver, my confidence increased after attending this event. The session really helped me with skills to stay calm even during emergency situations – and I learned how to appropriately apply ABS braking without losing control,” said a participant.